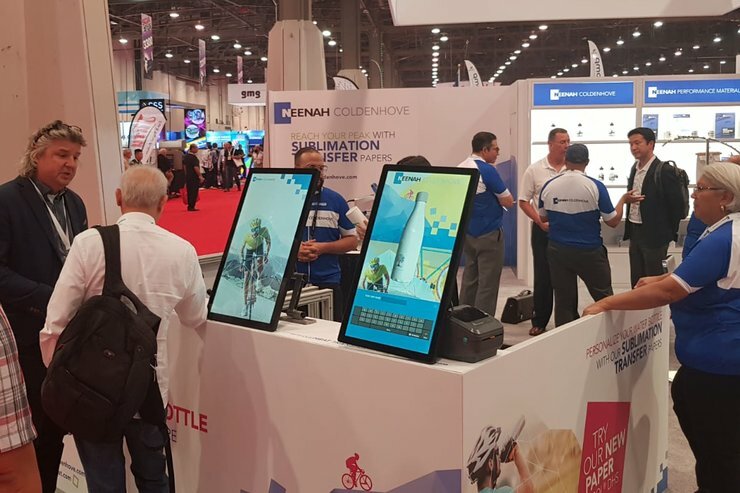 RECAP SGIA Expo 2018: crisp and clear colors printed live! What a great experience in Las Vegas at SGIA Expo! 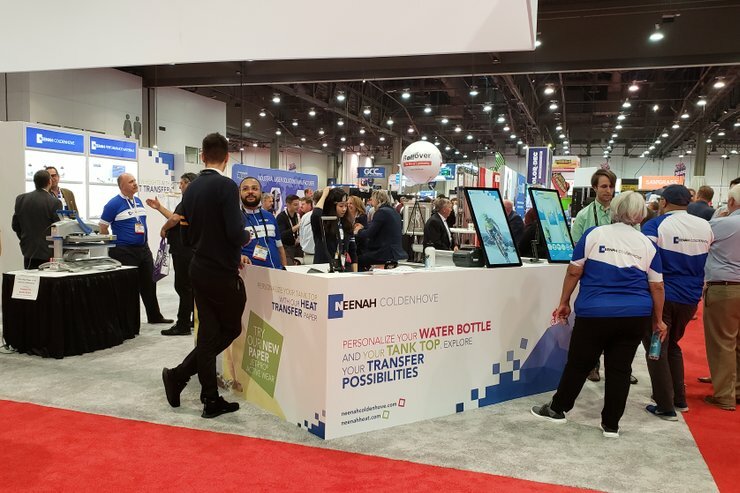 Another exhibition successfully concluded, and we would like to thank all the people that were there with us and that stopped by our booth to talk with our team. We are always happy to meet with our customer, partners, visitors and build some new relations. What happened this year? Here a recap! Three new products were launched in Las Vegas: Jetcol® DHS, Xtreme® Sports and JET-PRO® Active Wear. 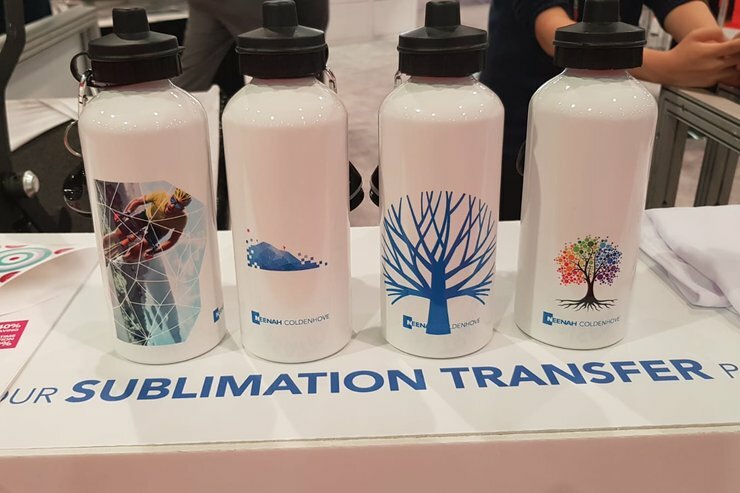 Our latest developed paper for hard substrates Jetcol® DHS, combined with a professional pop-up printing studio, allowed us to we offered our visitors the possibility to create on-the-spot customized printed water bottles. 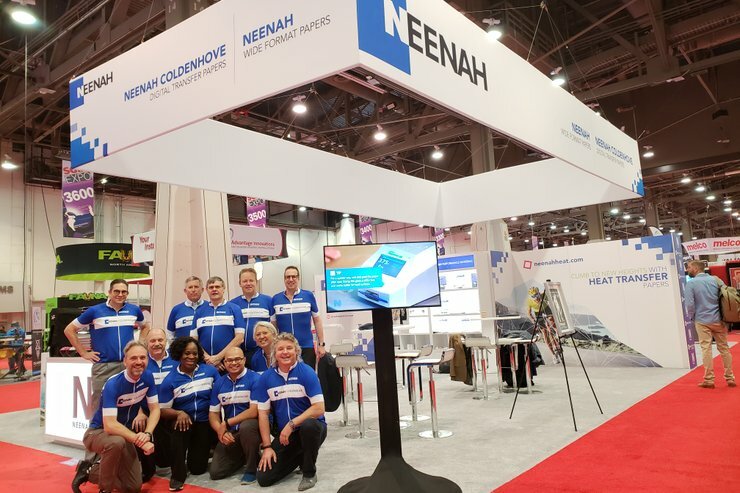 People stepping into Neenah Coldenhove customizing kiosk could select between different designs to be instantly printed on the bottles and have the one they liked the most. 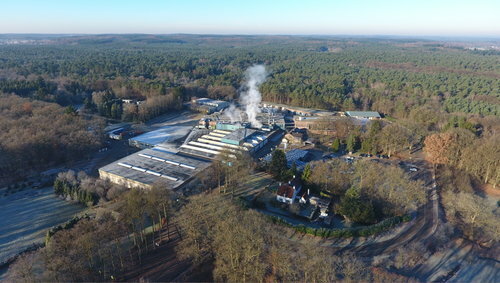 Around 300 bottles were printed during these 3 days show and JETCOL® DHS made it easier than ever before to image professional digital photography on hard surfaces with impressive photo quality. Check the pictures to see how our giveaways looked like and stay update on our next shows! Don’t miss the chance to meet us and discover what we are going to organize next time, we are looking forward to meeting you again!